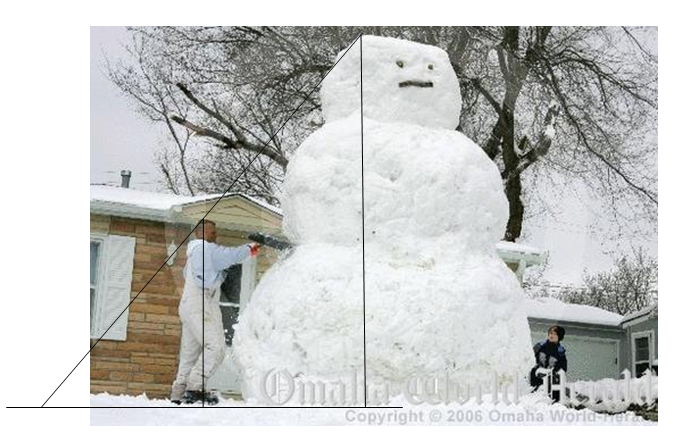 Home/Geometry, PreCalculus/Just How Tall Was That Snowman? You have to love people who make lemonade from lemons. 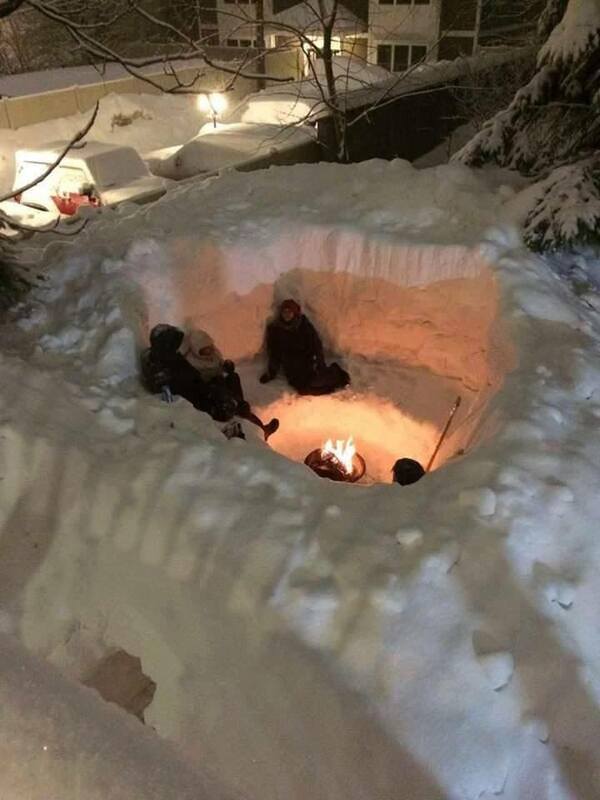 A recent photo circulating in FaceBook made me envious, for just a fraction of a second, of the people in Boston who are dealing with the historic snow falls of the 2014-2015 winter. The following photo was one I have used in the past with my geometry and trigonometry students. Estimate the height of the snowman. 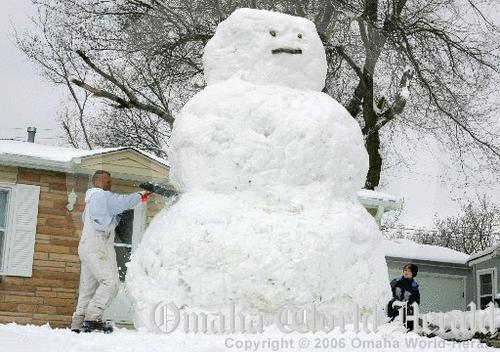 Rob Hazel and his son Noah put finishing touches on the giant snowman in their La Vista yard. If the average American male is 5′ 9.7″, how can you determine the height of the snowman Rob Hazel and his son Noah built in 2006? By adding triangles to the photo can you calculate the height of the snowman?